Orson Welles tried to make a film of it in 1940 but had to abandon the idea. 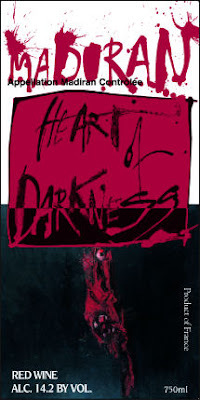 Coppola's very watchable movie with its doomy long opening song ('The End') has revived the fortunes of Conrad's great work and there is even a movie 'Hearts of Darkness: A Filmmaker's Apocalypse' about the making of the film. 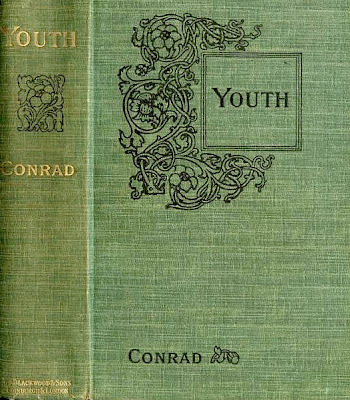 Conrad said of himself in a letter to his French translator 'I am neither clever nor very eloquent. I have a certain feeling for far-off things, a taste for analysing simple emotions and a turn of phrase that strikes the English. Please note that I do not say which pleases. I don't believe I please anyone here...' He saw himself as different from Kipling whom he regarded as a 'national writer.' Kipling, Conrad wrote, was interested in his subject, whereas Conrad was interested in the effect he produced. On the subject of Kipling - his "The Man Who Would Be King" has an identical premise to Heart of Darkness—a white trader sets himself up as God-King to an remote tribe, but he is no Kurtz and is exposed as merely mortal by a woman in the tribe.